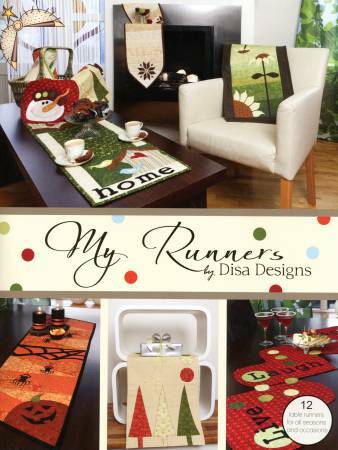 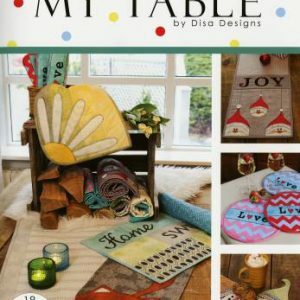 From the Introduction: Who doesn’t love putting a table runner on their table for a special occasion or to fit each season? 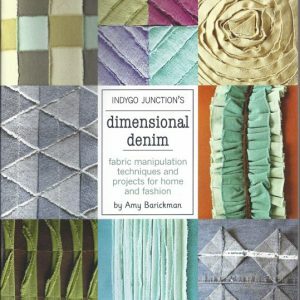 This book has 12 projects that are all very dear to me. 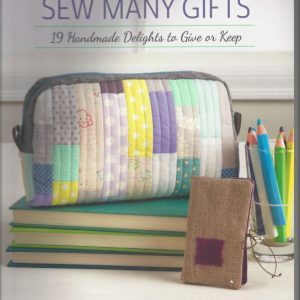 Each is a labor of love filled with thoughts of family and close friends. 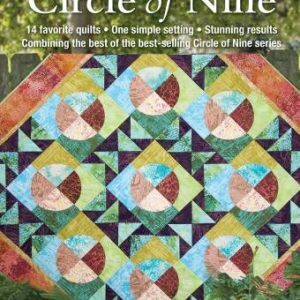 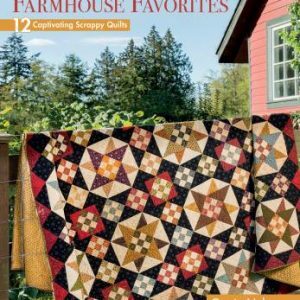 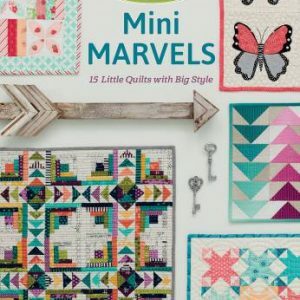 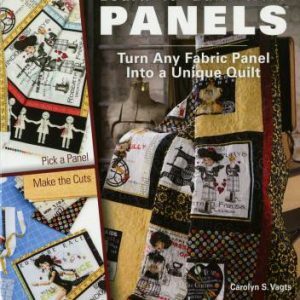 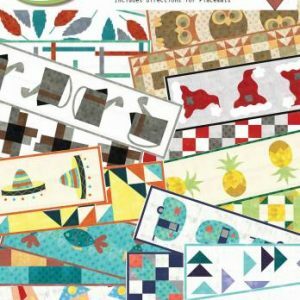 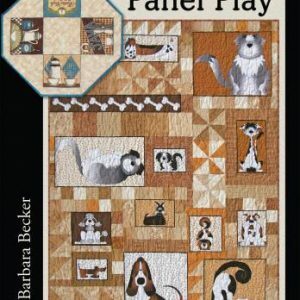 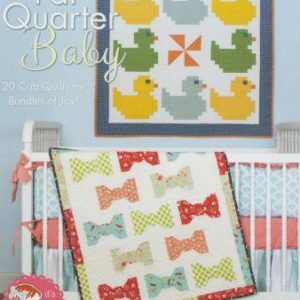 Includes general instructions plus 12 projects: Modern Christmas; Polka Dots Christmas; Ornamentally Fun; Live, Laugh, Love; Winterstar; Home; Easter’s Here; Sunflower Field; Autumn Berries; Itsy Bitsy Halloween; Ho, ho…Santa’s Here; Frosty Apple Cheeks.